After being drafted, Robinson was assigned to a segregated Army cavalry unit in Fort Riley, Kansas. Having the requisite qualifications, Robinson and several other black soldiers applied for admission to an Officer Candidate School (OCS) then located at Fort Riley. 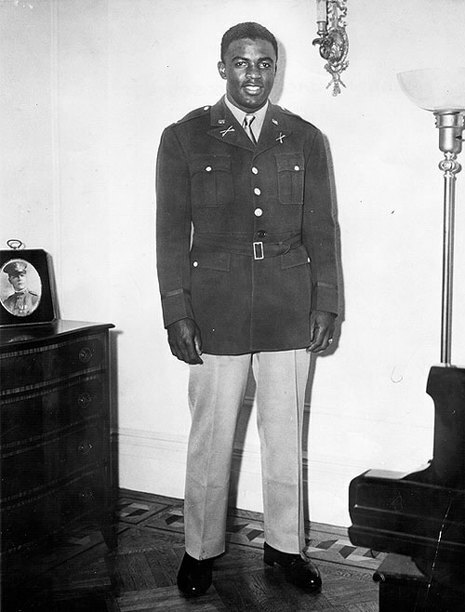 Although Army policy had allowed black applicants to enter OCS since July of 1941, the applications of Robinson and his colleagues were inexplicably delayed for several months. After protests by heavyweight boxing champion Joe Louis (then stationed at Fort Riley) and the help of Truman Gibson (then an assistant civilian aide to the Secretary of War), the men were eventually accepted into OCS.